It’s hard to have an entire workshop of tools and equipment packed into one van and also have the items all be organized in such a way that they are easy to find and use. Commercial shelving units and storage solutions make the most of your interior van space so your technicians can do their jobs. The most basic interior commercial van accessory is van shelving. There are actually quite a few options when it comes to van shelving, and the best type of shelf really depends on what you plan to store on it. Shelves can be backless or have a solid backing. Some shelves have solid side walls while others only have a support column at each of the four corners. Ideally you’ll want a shelf with a solid back, walls, and even a hinged door for smaller items that will tend to roll off or fall behind a freestanding shelf. Another important consideration when buying van shelving is the way it will fit in your van. You’ll want to take careful measurement of your available space. If you are concerned about the height of the van shelving, see if you can locate contoured shelving with a graduated back to fit flush to the van. When buying and installing commercial van shelving, also consider what tools and equipment will be needed most often on the job, and try to make a place for it on the doors or near the back of the van where it will be most easily accessible from outside the van. Your technicians can offer faster and more efficient customer service if everything they need is immediately at hand. Other configurations of storage cabinets, bins, and drawers are available for use in your commercial vans. What your businesses needs is very specific to the types of materials you need to carry with you. Just remember to measure carefully and map out a rough layout of the supplies and van interior before ordering anything. 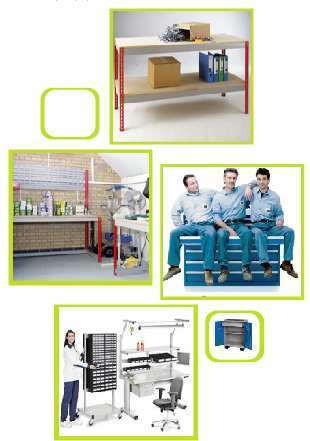 Good, reliable van shelving will be made from heavy-duty steel, so make sure that the shelving you select can stand up to rigorous use. It will be used for many hours every day, for a long period of time overall. You want shelves that will last and resist rust and dents as much as possible. Further information on Van Shelving for commercial vehicles, can be found by going to Greg Prathers web site Van Shelving. Greg Prather owns and operates Shelving Guy.